“I’ve been working the farm since I was 16 years old. I’m 55 now,” Christian Boeuf says softly, his clear blue eyes and broad smile reflecting the quiet pride in four decades of hard work. Planning ahead is something Christian sees as a fundamental part of his job. And while he isn’t sure his nephew will take over the family farm, he can make sure that the land remains as healthy and fertile as it’s always been. So when he was offered the chance to take part in a new scheme to turn manure from his cattle into green energy and fertiliser, it was an easy decision. His cows simply continue to do what cows do. But their waste is now part of a cutting-edge green power generation scheme. The arrangement came about after Nestlé Waters carried out a study into any potential damage that could be caused to the Henniez water source in Switzerland. With excess farm waste a possible source of ammonia pollution, plans were drawn up to provide an alternative use for it. With the collaboration of Groupe E Greenwatt, a biogas facility to produce renewable energy was built next to Nestlé’s bottling plant. 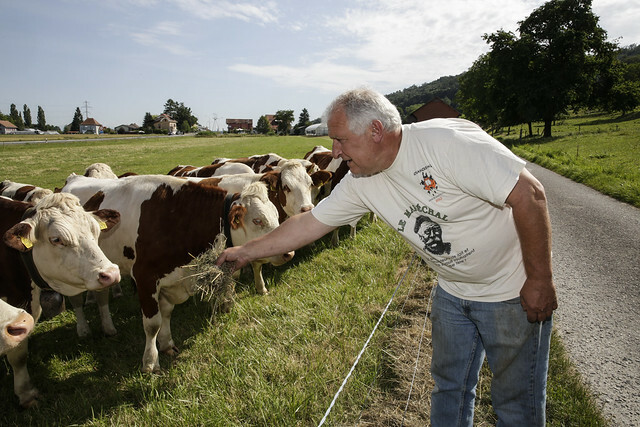 Each year, a network of 27 Swiss dairy farmers provides over 25 thousand tonnes of manure for the plant. It is mixed with coffee waste from local Nespresso and Nescafé factories before being fed into the biogas factory. As the material decomposes, natural gas is generated which is then burned to generate electricity. As well as providing all of the heat needed for the bottling factory, excess electricity generated from the project is sold to the Swiss grid. Since the biogas plant opened, the Henniez facility has cut its CO2 emissions in half. What’s left after the material has broken down is a highly sought-after fertiliser which is organic and nutrient-dense. The farmers are given this back to use on their crops, meaning they have to buy much less chemical fertiliser. The natural fertiliser is easily absorbed by plants and produces fewer ammonia emissions for the environment. Christian Boeuf has discovered that because of the fertiliser’s organic quality, he no longer needs to use fungicides on his crops. This exchange is cost neutral and helps create sustainable farming - recovering valuable nutrients that would be otherwise lost. Mr Boeuf describes the partnership with Nestlé Waters as hugely rewarding, knowing that the manure is used to make green energy. “The project is already having a positive impact. We value a fertiliser that is less harmful. We can grow better crops. It also means we can save electricity and gas”. Another of the local farmers providing tonnes of manure is Laurent Gentil who has worked on his property for 30 years. He says he is proud to be part of a collaborative project that should help his farming yields and the agro-biodiversity of his land. “We no longer have the problem of needing to empty the manure pits quickly because it is taken to the biogas plant for us,” says Mr Gentil. Supporting sustainable agriculture in this eco project is good for the farmers, the environment, and for keeping the Henniez source pure. It also brings the community together in a way which benefits everyone. 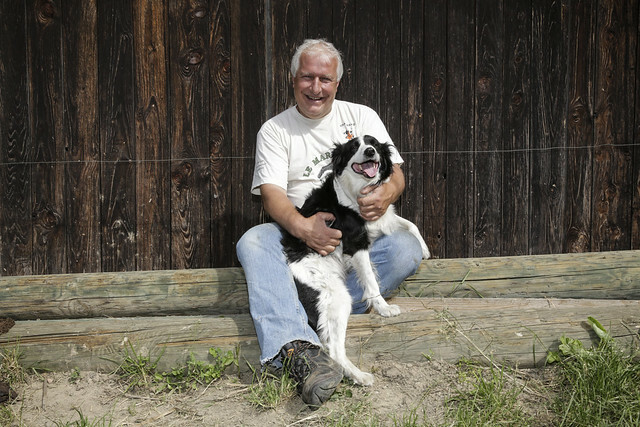 “It wasn’t easy in the beginning,” according to Michel Marchuard, Henniez Sustainability Manger. The cows provide over 25 thousand tonnes of manure for the biogas plant every year. Cow power!